New adult MMORPG Azera: Iron Heart is an upcoming 18+ game from popular developer Webzen. It’s been know for a while now that the team had been working on an Azera MMO for mobile devices, but this is the first time Webzen has officially confirmed the release of Azera: Iron Heart for mobile devices. This adult MMORPG is scheduled for release in 2016. Azera: Iron Heart has been in development for some time now. Based on the popular PC MMORPG game Azera, Webzen hopes to bring the same impressive gameplay features to mobile devices with their new adult MMORPG. Combine that with an amazing and immersive story, and this will be a mobile MMORPG like no other! 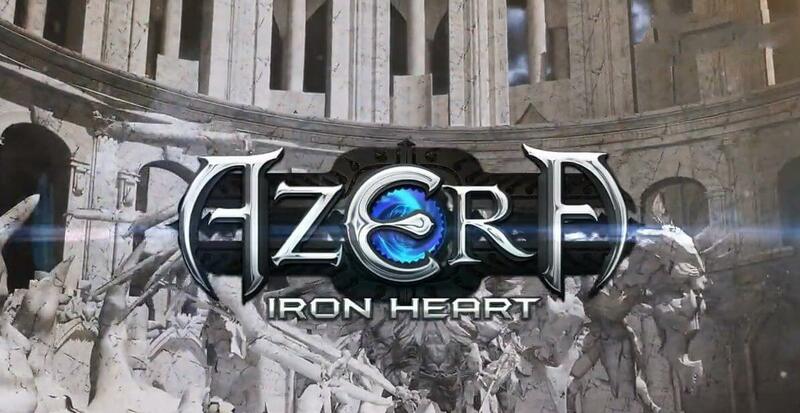 Azera: Iron Heart is said to boast film quality 3d cinematics, massive PvP contests, and absolutely huge RvR events! Azera: Iron Heart is a highly anticipated adult MMORPG for your mobile device that will take your gaming on the go to the next level. This 18+ only MMORPG will be extremely similar in nature to it’s PC counterpart. The Azera: Iron Heart adult MMORPG will feature all of the best features and elements from the original game by Webzen, now improved and optimized for mobile devices everywhere. While this game will be very similar in many ways, there are important differences as well. Namely there will be more high quality CGI videos to help further understanding of the storyline and keep players deeply immersed within the world. PVP is seeing a step up as well with a heavier focus being placed on PVP and RVR content than Webzen has ever done before. Between the high quality of the source game, and the improvements for the mobile version, this is definitely an adult MMORPG to be on the lookout for! Azera: Iron Heart wasn’t the only thing Webzen revealed at E3 this year. They also showcased their very impressive 2016 lineup of games. Which include Lightfall, C9 Mobile, MU: Legend, Flyff, and more. It’s clear to us that Webzen is on an upwards trend and really making some great progress with their games. We know we’re excited to play Azera: Iron Heart, and the rest of their lineup, and we hope you are too! See you on the battlefield!